Hwy 101 mile marker 5. 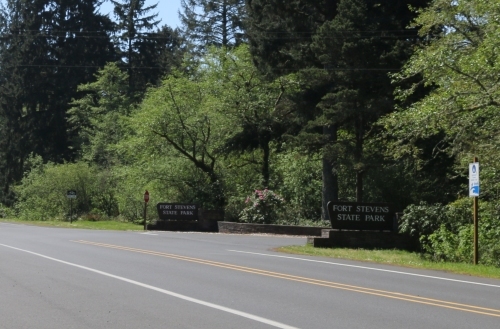 Directions: If heading North on 101, look for the Fort Stevens State park sign right after you pass the entrance to Camp Rilea. Take the next left (Perkins rd). After an immediate right, you are on hwy 104. After a short distance, turn left on Ridge Rd/Columbia Beach Rd. There are actually three entrances to the park from Ridge road. 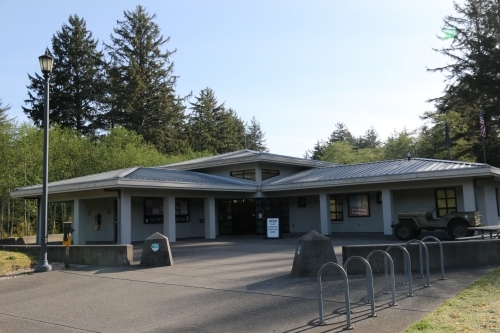 The southernmost one is the main entrance (right across from the KOA campground). 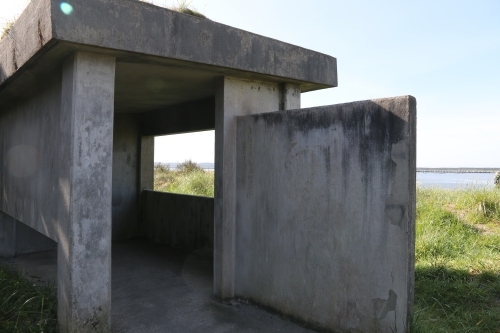 The next is the day use area, and the northernmost entrance (Pacific Rd) leads to the military exhibits. If heading South on hwy 101, take the E Harbor Street exit. 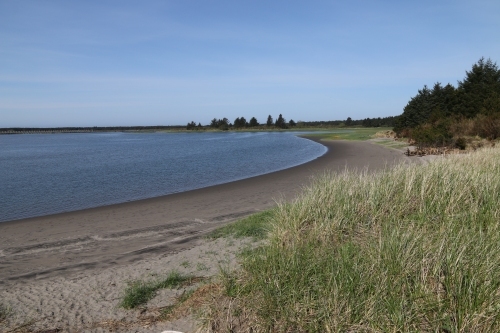 Or head a bit further south on 101 and take the Fort Stevens Hwy Spur/Business 101 exit. Drive to Main Street (dead ends) and turn left. Drive a short distance an then turn right on 18th Street and take 18th to Ridge Road. Get a park map at the visitor's center! You'll need it. 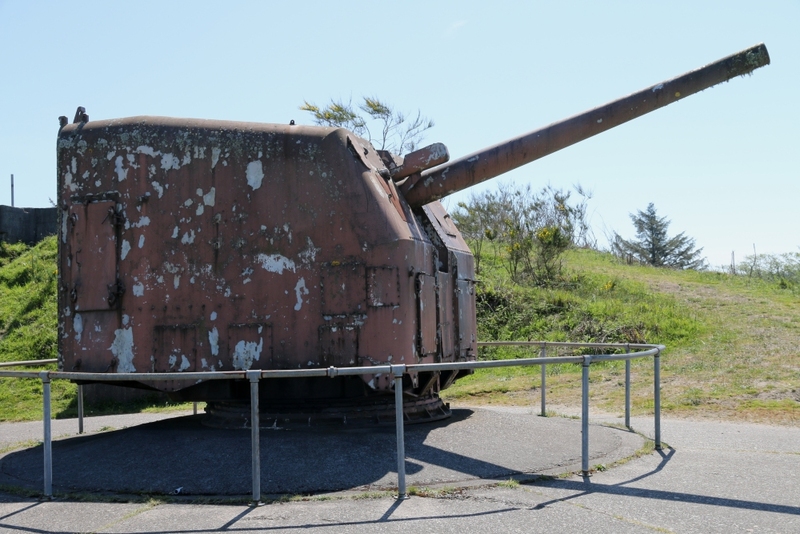 Site Resources: Camping, yurts, cabins, interpretive center, visitor's center, museum, RV dump area, hot showers, and extensive military artifacts (guns, bunkers, batteries, and the like). It's right across from the KOA Campground entrance. beach turnouts. 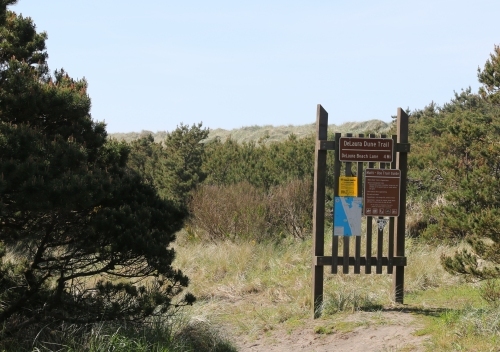 Some of the trails are quite long. 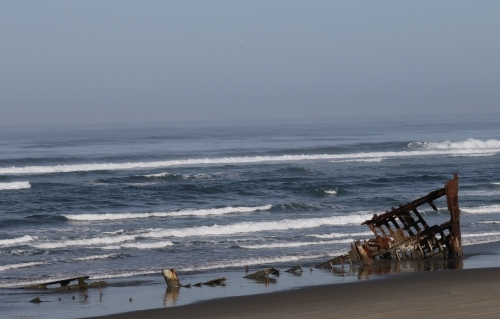 the Pacific. 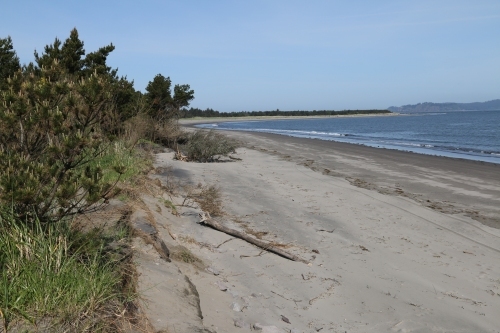 It also offers access to fishing areas on the Columbia River. You can view wildlife during storms or enemy fire! One of the park roads takes you to the peninsula which juts out into the Columbia River, and is the Northernmost part of Oregon. The road has four large parking lots marked "Area A", "Area B", "Area C", and "Area D". 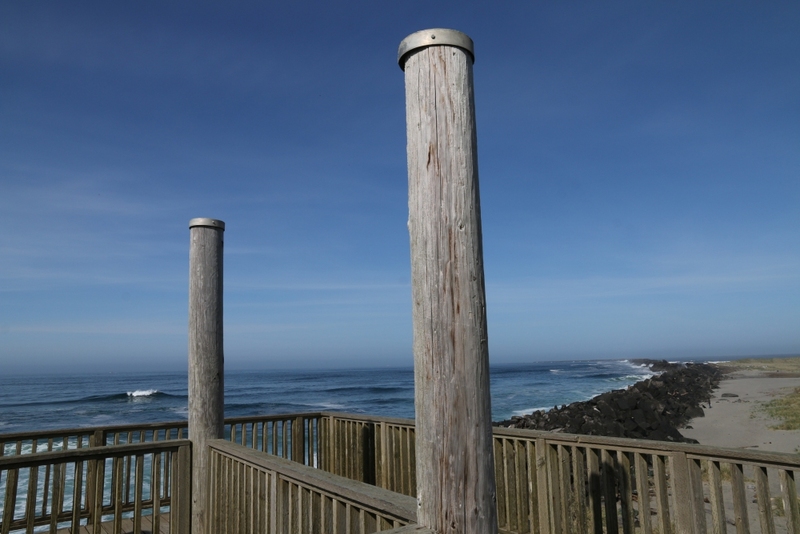 Here is a view from the top of the viewing platform in Area C, from which you can see the South Jetty. 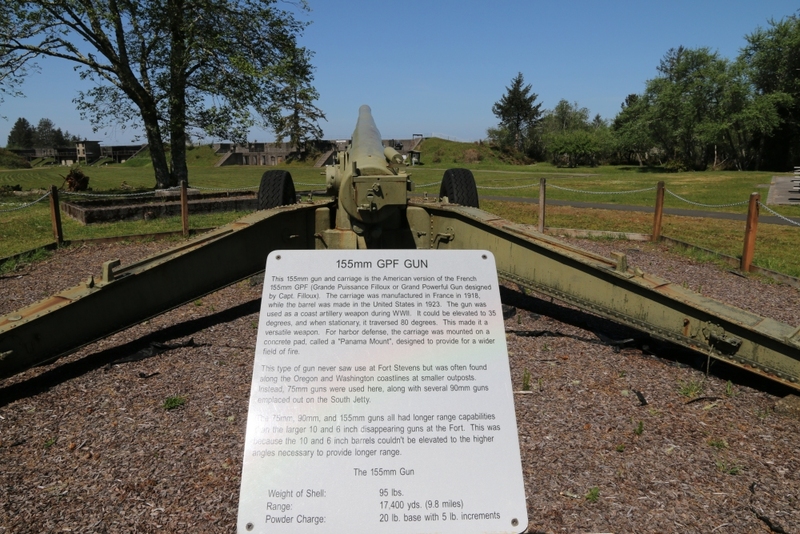 The military exhibits and historical areas are in the northern area of the park (though many structures are in other areas of the park as well). 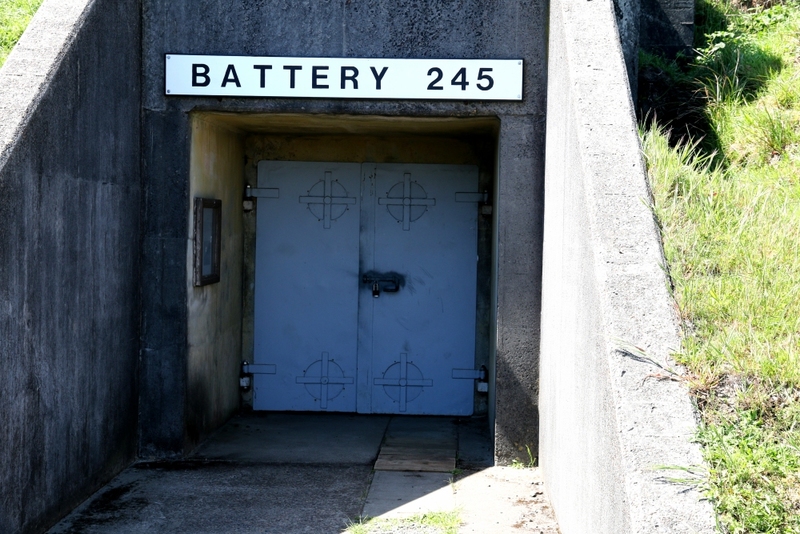 "Battery 245" in the military historical area. 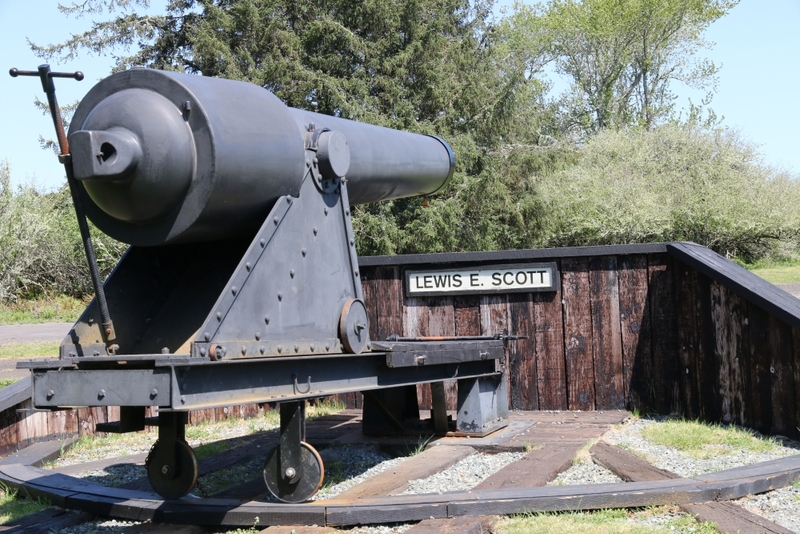 Here's one of the cannons that are preserved at the site. The shape of the housing reminds one of the tall "walking ray guns" used by the Empire in Star Wars. This particular item is a replica of the actual weapon. It actually shoots blanks and is used during July 4th celebrations. 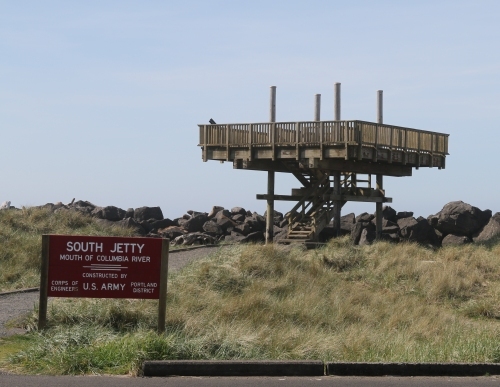 This device was not actually used at Fort Stevens, but was in place at other outposts on the Oregon and Washington coasts. It could fire a projectile almost 10 miles.